Custom Blinds, Shades and More! Welcome! We would like to take this opportunity to introduce our company. We are, Shades of Beauty. 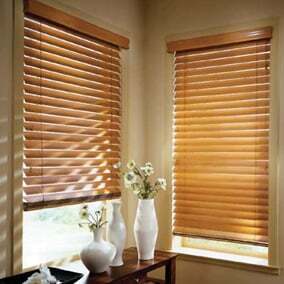 Our family-owned and operated custom blinds and shades company located in Ronkonkoma, NY. We have been manufacturing vertical blinds, shades, mini blinds, and all other fabric top treatments and draperies for over 20 years! Windows have become more than just a source of natural light and fresh air. Using the latest and most creative of window treatments, materials and styles, your windows suddenly become a way to express your fine taste, your imagination and your personality. At Shades of Beauty, located in Ronkonkoma, NY we bring your imagination to life. Once you see the possibilities, you can choose to compliment the room’s decor, or let them make a design statement all on their own. At Shades of Beauty, our associates will sit down with you and your color, rug or material samples, and help you to create the atmosphere you desire for your home. Give us a call today! Even though the covering of windows and doors is what we are primarily known for, Shades of Beauty, is your Long Island answer to all your window treatment repair or cleaning needs. If you have never had your window and door treatments professionally cleaned, you will be pleasantly surprised at what happens. The end result is an instant feeling of a warm, lived-in home. Some of our customers even say they feel as though the room has had a makeover! So take a good look at your windows. Let your imagination run wild with color and texture possibilities, and then let “Shades Of Beauty “make your vision a reality.